How to draw Mongol warrior. 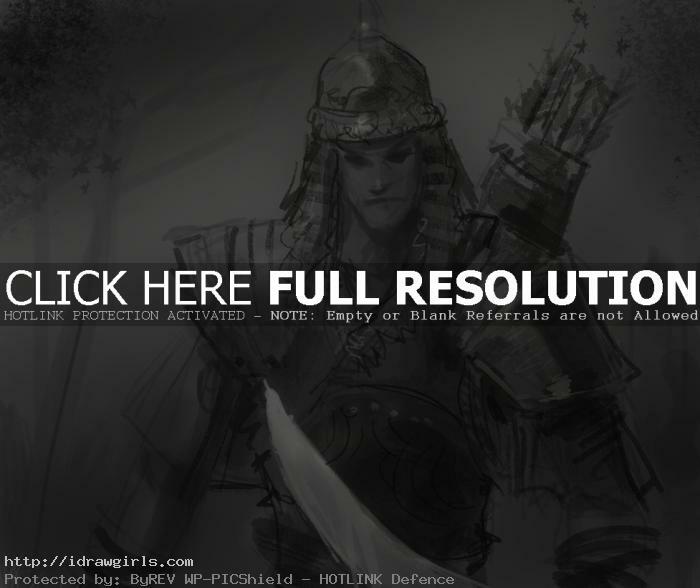 Learn to draw and sketch comics style character design Warrior Mongol soldier. This is a free online step by step and video tutorial easy to follow instruction. Learn drawing and sketching step by step and video tutorial male character design for manga, video game, and comics basic. The process shows from basic sketching to finish drawing quick character design. The video demonstrates how to put rough idea onto the paper sketch and create character concept art for all level artists. Here is a finish sketch of a Mongol warrior. 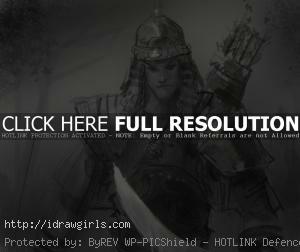 Watch the video tutorial how to draw Mongol warrior. 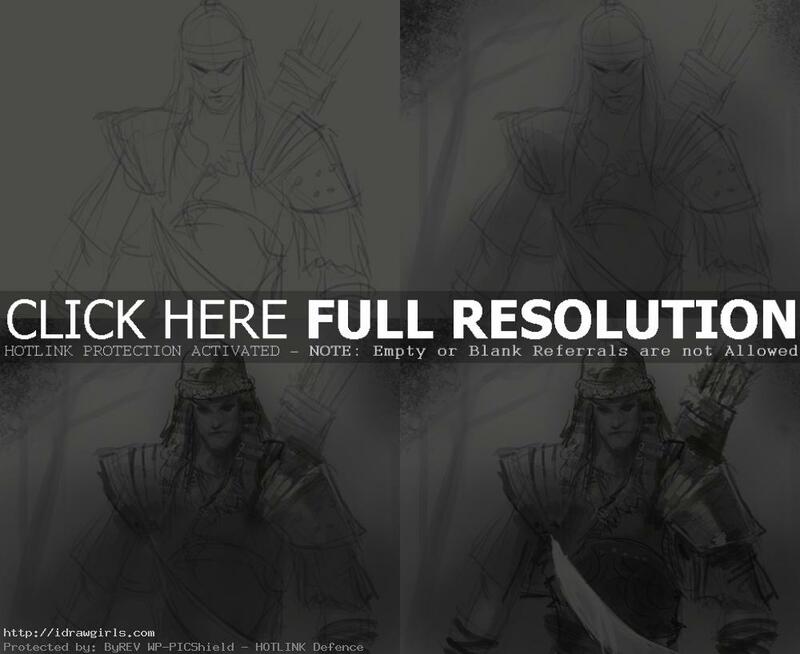 Below are step by step tutorial how to draw a Mongol warrior. Step 1, I draw out a rough outline for his head with helmet, his armor with shoulder pads, and both arm along with the tip of the sword he hold on his left arm. Step 2, I shade in some half tone on his figure to separate him from the background. Step 3, I begin to add more detail on his face and his helmet design with fur decoration. Step 4, I then draw out the rest of the detail on his uniform and his weapons. Watch the drawing video tutorial for more in dept instruction to go along with this step by step images.